MANSFIELD, Mass. - If you wanted to know who the top girls’ basketball team in the Hockomock League is, Tuesday night provided some insight. 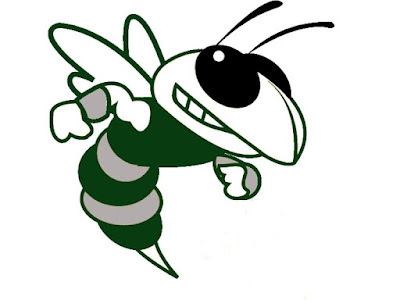 Specifically, the Mansfield Hornets’ road bout with the Attleboro Bombardiers showed the Hornets (7-2) were superior, at least on Wednesday night. Playing tough man-to-man defense, the Hornets came away with a 61-30 win, handing the Bombardiers (8-1) their first loss of the season. "Everything went our way tonight,” Hornets head coach Mike Redding said. “When you're shooting threes and they're going in off the backboard when you don't mean them to, it's going to be a good night." The Hornets excelled from outside, hitting ten three-pointers, including three consecutive in the first quarter. A 9-0 run ensued by outside shots from senior guard Jennifer Peel, junior guard Ann Maher and sophomore guard Madyson Bendanillo put the Hornets up 13-2 midway through the first quarter. Before the final three-pointer of the run, it appeared as though the Bombardiers would hit a shot, but Bendanillo took a charge, nulling the basket. Of the team’s 10 three-pointers, Maher had five of them, accounting for all 15 of her points. Peel, who dropped 22 points, had six assists and three steals, added three more treys. At no point did the Hornets struggle defensively, even if they did not use their primary scheme. "We play a lot of zone, but we thought the only way we could defend them was man-up,” Redding said. “They shoot so well and pass so well against the zone, we had to go one-on-one and handle them as best we could." In the first half, fouls were problematic for the Hornets. They fouled 11 times, and free throws accounted for eight of the Bombardiers’ 13 first half points. Senior center Sarah Deyo (13 points) had six of the team’s eight first-half free throws. Despite their foul trouble early, surprisingly, no one on the Hornets fouled out, nor was anyone in danger of fouling out with the game in the balance. "Our kids are pretty smart,” Redding said. “They know when they get that second one to back off a little. They also know we've got girls on the bench who can fill in and give us minutes. Luckily, we didn't have to sit anyone too long for foul trouble." Up 41-25 after three quarters, the Hornets went on a 16-0 run that lasted most of the fourth quarter, pushing the game well out of reach. Mansfield will look to continue its winning ways with another big road game at Franklin Friday night, while Attleboro will hope to get back on track at Oliver Ames, also on Friday.